I love hashtags. I really love hashtags. I love them, because they can be a descriptor, a verb, a phrase, an identifier… they’ve become their own grammatical structure in the age of social media. And, in another 5 or 10 years, they will probably be incorporated in formal grammar textbooks the same way the word “meh” entered the dictionary back in the late 2000s. Well, one hashtag that has all of my adoration is #PTfam. 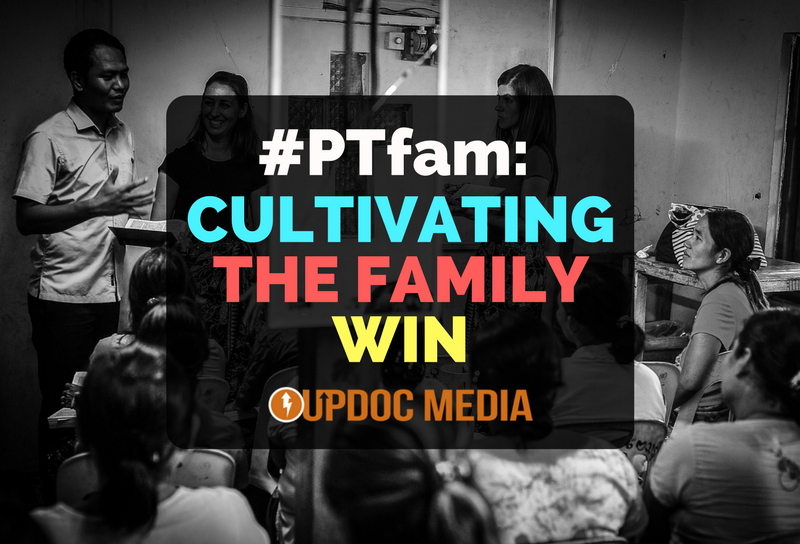 As the hashtag #PTfam came on the scene, it meant a certain cluster of things to the physical therapy community. Primarily, it was used to connect with people and to introduce new members in the craze of social media. The discussions surrounding the hashtag have always been positive, constructive, lifting each other up, elevating each other’s position… in a giving, generous, growth oriented way. The Family Win: If the family wins, we all win. If the family doesn’t win, nobody wins. #ItsAMindset. After all, we’re all in this together. #BetterTogether. AND, after all… with less than 8% of the potential musculoskeletal market as consumers of physical therapy vs. all the substitutes and pharmaceutical alternatives… isn’t it high time to unite? Win as a family? Support each other? Elevate each other? Collaborate and grow, TOGETHER?! In our profession, we are very quick to specialize, create sub-groups, and celebrate the diversity that makes us strong. As true as it is when our profession was founded, it stands true today. By creating unique clinical approaches, we’ve been able to expand the positive reach of our care. However, that is an attribute that cuts both ways. Unfortunately, as of late, we’ve forgotten to temper the strength in diversity with the strength of unity. UNITY, is precisely what I think #PTfam can and should stand for. Our national organization, the APTA, is hosting its annual grand conference in the Combined Sections Meeting next month. I think it’s a great time to cultivate this idea of growing the culture of upholding the family win. By winning together, we all win. If one of our colleagues win, we win, too. If we win, we need to bring our colleagues up, with us! I’m challenging YOU to defeat the 80/20 rule. We don’t need 20% of our colleagues to do 80% of the promotion, advocacy, legislative, academic, and social branding battles out there. We need 100% of all of us to be in this TOGETHER; to contribute where our strengths are found, to help make a connection when, in our weakness, the strength of a colleague would be appreciated; to not just think bigger… to BE MORE.